MKM is committed to developing dynamic and universally accessible environments for both active and passive recreation. 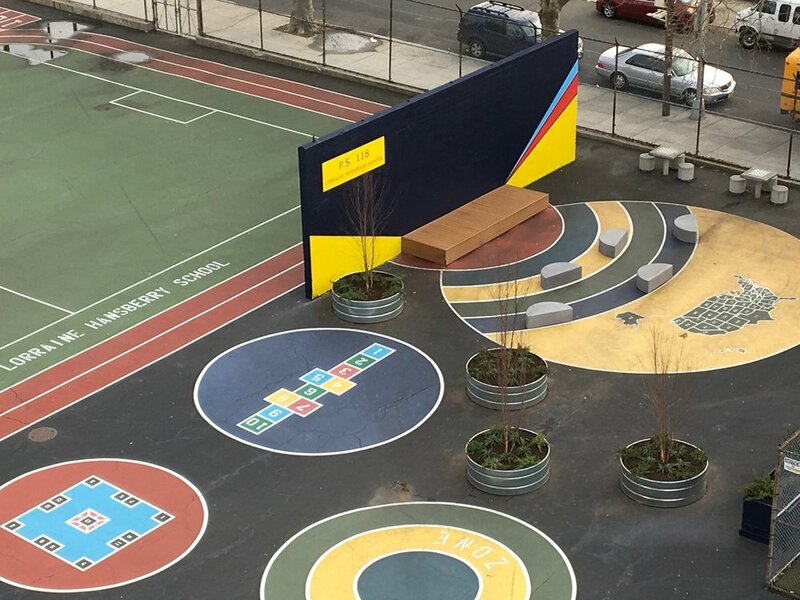 MKM is a founding partner of the NYC Playground program, and since 1997 has worked with the Trust for Public Land, the Mayor’s Office of Construction, and the NYCPD to design more than 50 neighborhood playgrounds. In 2007, MKM worked with Mayor Michael R. Bloomerg to launch the “Schoolyards to Playgrounds” initiative. Our playground designs address sustainability, promote water efficiency, reuse and incorporate renewable materials and embrace plant life. We are a leader in converting asphalt lots to verdant playgrounds, and have uniformly applied LID principles to minimize construction and maintenance costs that in turn foster neighborhood stewardship. MKM was the first NYC firm to incorporate porous pavers in high-use recreational settings, a standard now embraced by several New York City agencies. MKM design for Skyview playground takes precedent from adventure playgrounds, and incorporates challenging timber play equipment, a large platform and slide structure with balancing poles and timber log scramble, timber stepping block and bridge clusters, and timber seesaws and swings. The woodland adventure theme is present in site furniture, such as the custom rustic gateway arbor and a tree platform serving as a shaded seating area and protection for the extensive root system of an existing oak tree. MKM completely redesigned this playground, transforming the school yard into a joyful and programmatically dense environment. 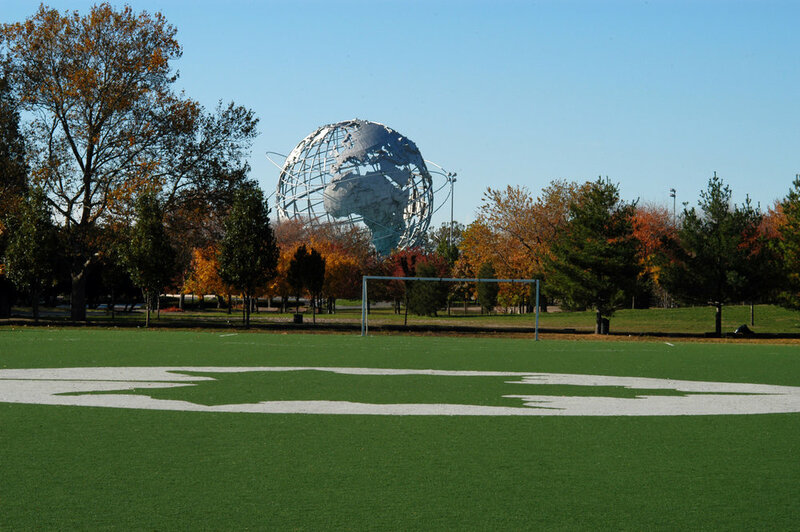 The design includes a running track, a turf field, pavement marking color games, basketball courts, and play equipment. Plantings are installed in the center of the schoolyard to retain stormwater after rain events, with curbs in which seating has been integrated. Netting between the planted islands provides some shade. Synthetic turf with geothermal wells beneith to reduce energy use of school.